There are going to be days where you don't want to put your gun inside the waistband. When you feel like concealed carry but you just don't want to use an IWB holster. You may even want to open carry but be able to conceal if the occasion struck. For just that kind of carry, we have a Springfield XD Mod 2 45 OWB holster that will get the job done. Not only that, but it will carry more comfortably and securely than many other designs of XD Mod 2 45 OWB. 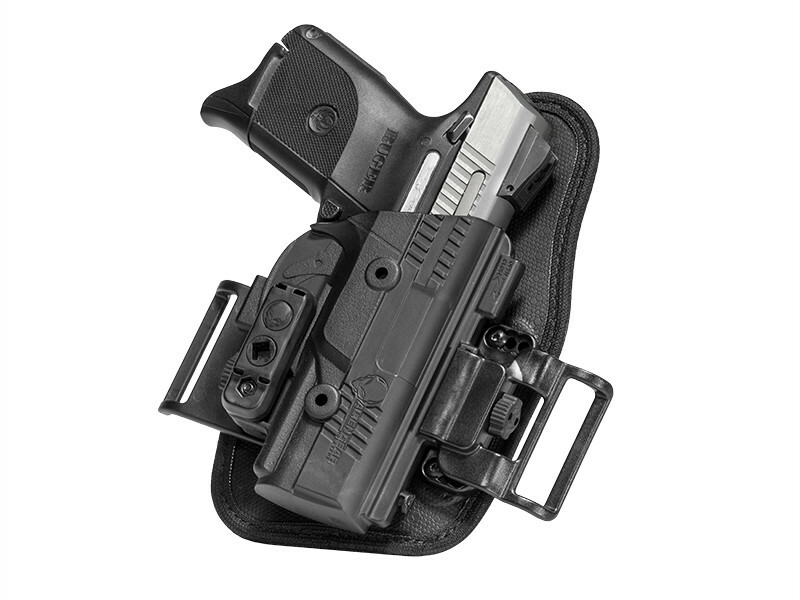 The base of the holster is a compact version of the ShapeShift IWB base, with the same spring steel and woven nylon core and CoolVent neoprene backer. The backing layer cushions, while letting the skin breathe and wicking away moisture. 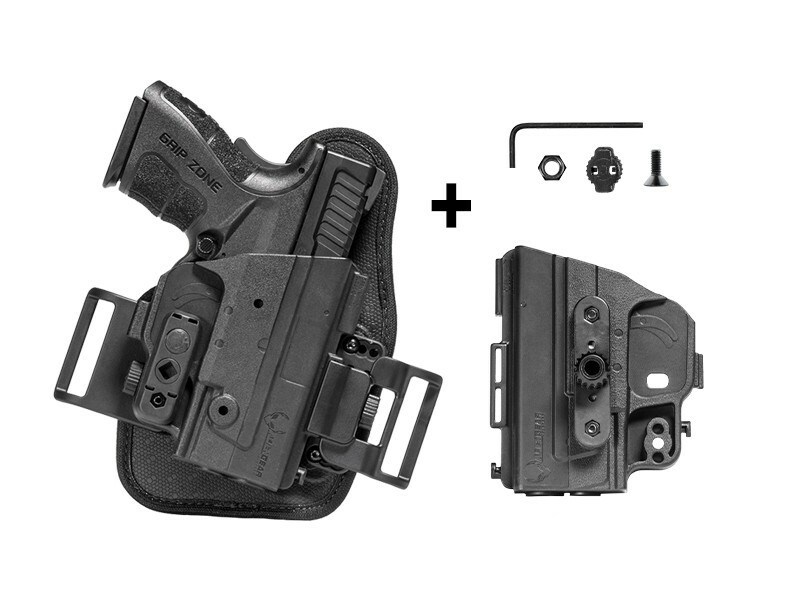 This keeps you cooler and drier than other designs of XD Mod 2 OWB holster. The belt clips are located just ahead of the trigger guard. This puts the pistol high on the beltline and once the belt is fully fastened, the holster is pulled tight to the body. 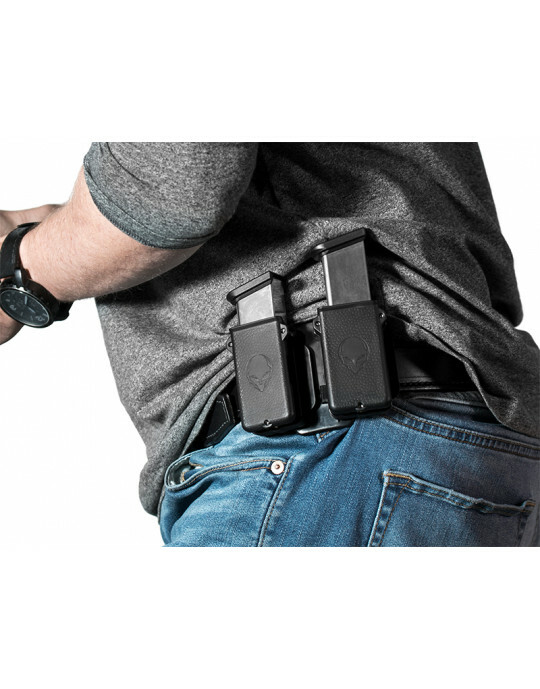 Additionally, the holster base flexes to fit the shape of your body as if made for it. The holster rides high and tight. 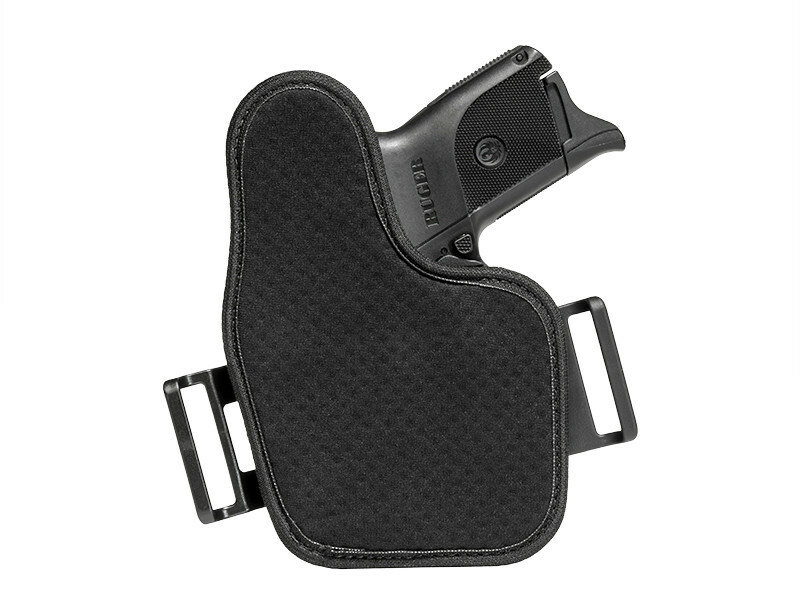 While ideal for open carry as a Mod 2 45 Subcompact OWB holster, this also makes it easy to conceal. Some users find concealment is easy with as little as an untucked shirt. Fitment is custom. The Alien Gear Shift Shell is molded for the XD Mod 2 45 Subcompact only, so no more worrying about an anonymous fit from a "universal" holster. The trigger guard is fully wrapped for added security. Retention is also adjustable, as you can dial it to your exact desired setting. 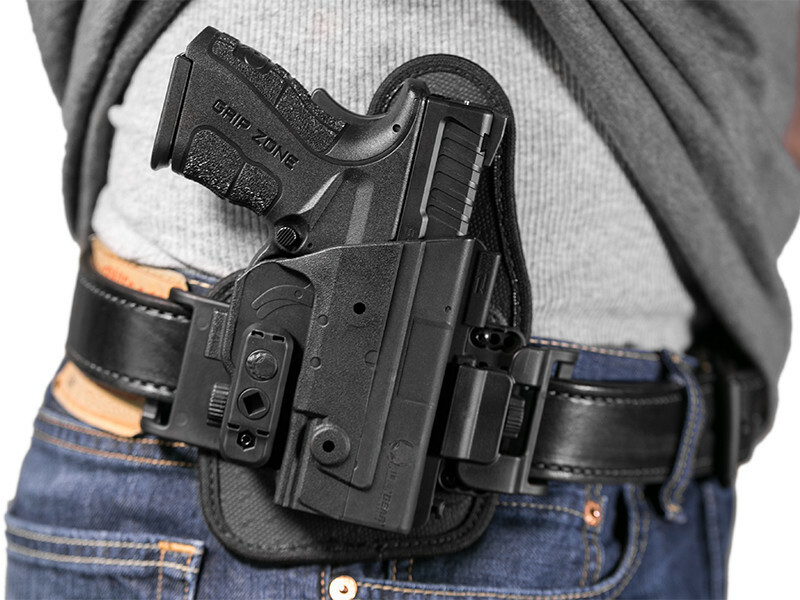 You also get the peace of mind knowing that your XD Mod 2 45 Subcompact Belt Slide OWB holster is covered by a lifetime warranty against any defects or damage. This is part of Alien Gear's Iron-Clad Guarantee, which also includes a 30 Day Test Drive trial period after purchase, during which you can return the holster for a full refund. This is a shift in OWB concealment. Start your Test Drive today!